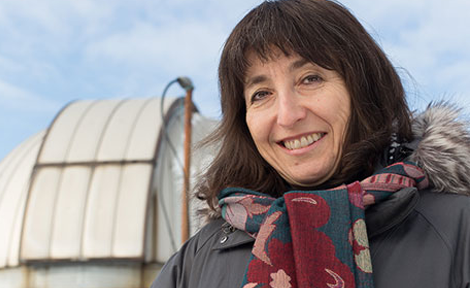 Leading cosmologist Wendy Freedman trains a telescopic lens on the biggest questions in the universe. The University prepares to celebrate its 125th anniversary. Notes on an intellectual and musical journey, by Philip Glass, AB'56. William Bila, IMBA'02, advocates on behalf of Romani people. David Nirenberg, an anti-Semitism scholar and dean of the Social Sciences Division, says the question of where Jews can feel safe shifts over time. "For a politics of humanism"
For philosopher Martha Nussbaum, "equal respect for persons and a careful use of the sympathetic imagination" are essential to a public sphere where citizens can flourish. Funmi Olopade, director of UChicago Medicine's Center for Clinical Cancer Genetics, says the actress made a life-saving decision to remove her ovaries. Teresa Sullivan, AM'72, PhD'75, navigates a tumultuous tenure as the University of Virginia's first woman president. In The World Beyond Your Head, Matthew Crawford, AM'92, PhD'00, argues that there is "a moral imperative to pay attention to the shared world." 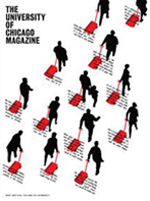 Chicago Booth's Capital Ideas asks, "Can innovation save the US economy?" The Mar-Apr issue of the Magazine is in the mail and available to read online now. A panel of experts will explore how "big data" is shaping the 21st-century economy on Friday, April 10, at 4 p.m. CDT.